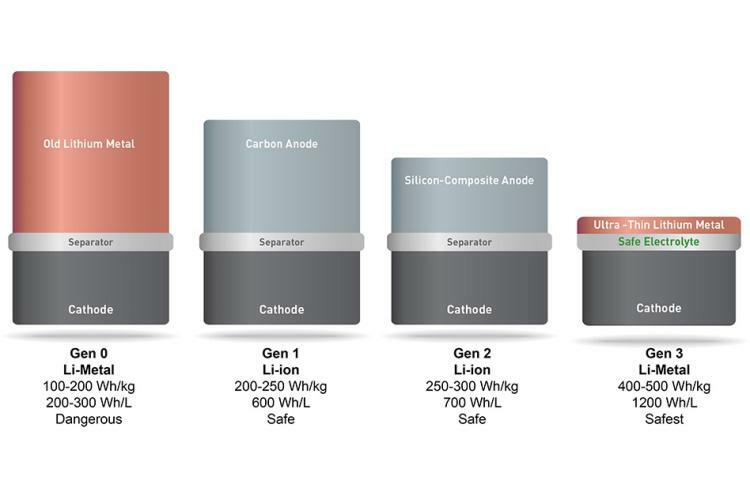 Commonly used lithium-ions batteries nowadays power most of our consumer electronics, and even cars but as much as they are being frequently used and development is still underway; lithium-ion batteries meet a lot of issues related to a short life cycle, a long charging time and limited energy storage. Researchers are working hard to find a way and develop a better way to produce a long life cycle, and more durable lithium-ion batteries. The researchers tried to come up with a general method to produce anode materials for lithium-ion batteries. They use metal oxide nanosheets to create the anodes, which are very thin and have an excellent electrochemical and mechanical properties; it’s also a two-dimensional material. Compare to a sheet of paper, the nanosheets are 50,000 times thinner than a sheet of a paper; that thickness allows faster charging compared to the conventional batteries. Also, the nanosheets have better contact with the electrolyte thanks to their wide surface which also helps increase their storage capacity. The battery life cycle is also improved due to the durability of the material which does not break easily. Scientists are looking for ways to improve the production of metal oxide nanosheets which are for the moment time-consuming and very difficult to scale up; simpler and faster way to synthesize, is by using graphene oxide which is a 2-D carbon material that helps facilitate the growth of metal oxide. With just a simple mixing process followed by a heat treatment, the grapheme oxide can be used as the template to grow metal oxide into nanosheet structures, the scientists can then control the composition and properties. With this new technique, they were able to produce the nanosheets in just one day compared to previous methods taking up to a week. Plus it does not require a pressure chamber and only use two steps in the process which makes it very easy to produce on a large scale. Based on the study, there is great promise for the use of nanosheets as lithium-ion anodes, which could enable a possible future development of high performance lithium-ion batteries and can be used to advance energy storage applications.